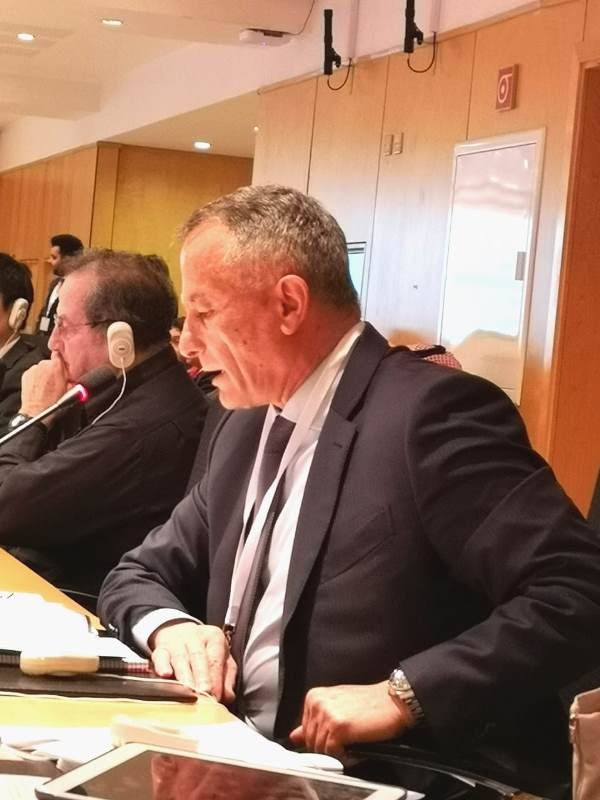 The Parliamentary Assembly of the Mediterranean (PAM), together with key UN Agencies, International Organizations, government criminal justice practitioners and NGOs, participated on 26-28 March 2019 in Beirut, Lebanon, in the Western Asia Regional Preparatory Meeting for the Fourteenth United Nations Congress on Crime Prevention and Criminal Justice. The Congress will be held in Kyoto, Japan, in 2020. PAM was represented by Hon. General Chamel Roukoz, Head of the Lebanese Parliamentary Delegation to PAM. The Conference aimed at setting up a broad and open dialogue among different stakeholders in order to develop effective substantive and institutional responses to the concerns related to crime prevention and criminal justice. During the conference, key topics were discussed, such as prevention of terrorism, crime prevention in the context of socio-economic development, legal systems reform, the role of education in crime prevention, and new forms of crime including cybercrime and cyberterrorism. In his statement, Hon. Roukoz, recalled PAM’s commitment on counter-terrorism. He outlined the achievements of the 13th PAM Plenary Session which was held in Belgrade in February, where PAM unanimously adopted a resolution recommending a set of specific legislative and operational measures to be taken by all its member parliaments, including the implementation of relevant UN Security Council Resolutions and guiding principles into national law. In addition, he informed the participants that PAM has recently established a Special Parliamentary Committee on Terrorism, which identified “Youth and Prevention of Violent Extremism” as one of its top priorities. PAM has always worked closely with the United Nations on counter-terrorism, playing a crucial role to promote the harmonization of national legislations, in order to facilitate international cooperation to track, capture and prosecute terrorists, including returning or relocating terrorist foreign fighters, which pose a major challenge for the Euro-Mediterranean region.